a ska loving geek: Amazing dividers! 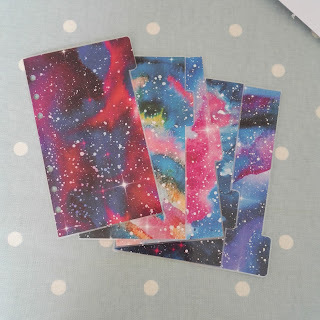 Today I received some amazing galaxy dividers from cute and quirky creations. I can't wait to put these into My planner! !